HOURLY WAGE: Approximately $9 an hour, depending on experience. HOURS: After-school Monday-Friday from dismissal until 6pm. 8 hour days on school break periods and during the summer. 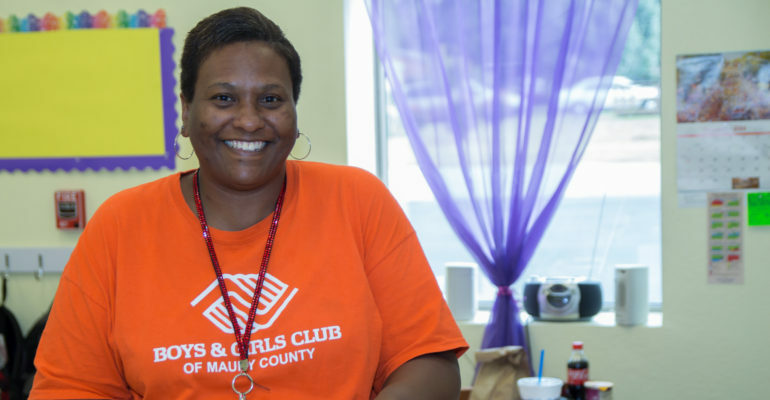 Boys & Girls Clubs of Maury County Registrars ensure accurate attendance and financial accounting; aid in security of Club youth by ensuring that parents, guardians, and visitors follow appropriate sign in/sign out procedures; ensure compliance with DOE/state reporting and documenting requirements (i.e. fire drill logs, bus logs, visitor sign-in and out logs); convey attendance-related information to appropriate parties; collect payments on membership dues from parents/guardians; record fee payments in the Fee Spreadsheets in Microsoft Excel/Google Sheets; and provide general clerical support, information, and/or direction as needed. The Registrar in addition to attendance and clerical duties must be able to interact effectively and positively with people of various ages, backgrounds, and needs. Utilize tracking software on the computer to accurately document member sign-in and sign-out procedures. Manage communication with Club members, parents, staff, volunteers, and visitors. Provide security for member entrance, and report any incidents of injury or destruction. External: Maintain contact as needed with external community groups, schools, member’s parents and others to assist in resolving problems. Complete the employment application and email it to Pierre Covington at pcovington@bgcmaury.com, or drop it off in person between 8am-5pm M-F at 210 W. 8th Street, Columbia, TN 38401. Please include a copy of your resume if available.